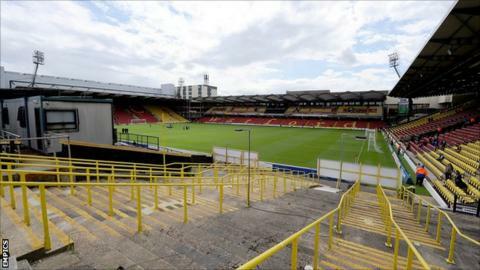 Watford's proposed takeover by the Pozzo family is still on, despite claims to the contrary from current Hornets owner Laurence Bassini. An official club statement released on Friday night stated: "Despite recent remarks, the deal for the sale of Watford FC to the Pozzo family is progressing nicely. "There is no issue with funds. Both parties hope to conclude shortly." Watford confirmed earlier this week that a deal was agreed in principle. Giampaolo Pozzo currently owns Italian Serie A side Udinese and Spanish La Liga outfit Grenada. And his family are in the process of trying to finalise a bid to add the Championship club to their portfolio. Another Italian, former West Ham United manager Gianfranco Zola, has been linked to a role within the club. Bassini told the Watford Observer on Friday: "They don't have the money, so I'm not doing the deal. "They didn't provide the proof of funds and it is not transparent enough. "The deal is definitely off. They do not have the money. What can I do?" But it is now understood that the deal is still on and nearing a conclusion. Last season, under the management of Sean Dyche, Watford finished 11th with 64 points from 46 games.